I'm going to tell you about the REAL causes of gum disease. This may come as a bit of a shock, and many readers won't like what I am about to say; The REAL cause of gum disease is YOU! Please STAY WITH ME FOR A FEW SECONDS. The GOOD NEWS is that this means YOU can do something about it! Gum disease is an infection caused by bacteria. BUT it's not the sort of infection you catch from someone else, or from using contaminated forks at a restaurant. The bacteria that cause gum disease are already in everyone's mouth. They are "normal" bacteria. The problem arises when these bacteria get a chance to thrive and grow in the tiny spaces between your teeth and just under the gum edges. These bacteria build up on your teeth in a sticky film we call "plaque". The bacteria in plaque feed off the carbohydrates from food you eat, and slowly release small amounts of toxins. If this sticky film of plaque is not removed, it builds up where the gum meets the tooth. This plaque film is REALLY sticky! Over time, the toxins from the plaque bacteria start to irritate the gum tissues. It's a bit like having a splinter in your finger. Gradually the tissues get red and swell up. This redness and swelling are signs of inflammation. Your body is trying to get rid of the irritant. Whether it's dental plaque or a splinter in your finger. Your body is trying to tell you there's something wrong! The first step in dealing with gum disease? WAIT A MINUTE . . . I THOUGHT YOU SAID THE CAUSE OF GUM DISEASE WAS ME? Well, yes, I did say that. What I mean is, you are allowing gum disease to get started and to get worse because you are missing areas of plaque on your teeth when brushing. BUT DON'T WORRY - I CAN SHOW YOU WHAT TO DO! First, you have to realise and accept that the way you are cleaning your teeth now ISN'T WORKING. If I had a nickel for every patient who told me they brush their teeth 3 times a day, I could fund a NASA mission to Mars. Just about EVERYBODY tells me how often they clean their teeth. The problem is, no matter how OFTEN they brush, they still aren't getting all the plaque OFF their teeth. It's a bit like washing your car. You may wash it 3 times a week, but if you're not washing it thoroughly each time, it's NEVER really clean! It just goes through various degrees of "dirty". Same with your teeth. OK, the bacteria in the plaque is the actual cause, but in my court you are still a co-defendant. In simple terms, you have to get into the habit of cleaning your teeth IN SUCH A WAY that you are getting the plaque off, ALSO from in between the teeth AND under the gumline. Have a look at this page on how to cure gum disease . This is the MOST IMPORTANT PAGE ON THIS WEBSITE, and it will help you to deal with the causes of gum disease! Just to get you on the right track, I can make a recommendation for a toothbrush. 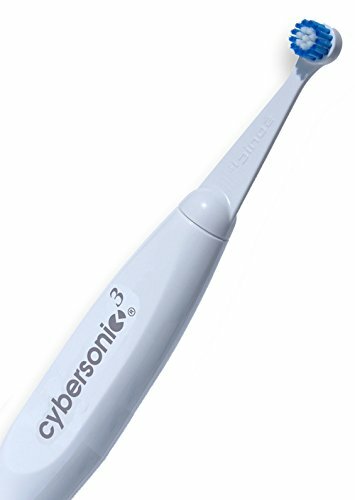 One of the best for getting plaque off your teeth is the Cybersonic 3. It doesn't cost a lot, and it is very efficient without being aggressive. An extra cleaning method when you have gum disease is to use an Oral irrigator with a capful of "TheraBreath Oral Rinse" added to the water in the water tank. If you use the fine "Pocket Pal" tips, you can clean effectively under the gum edges where the plaque can escape from toothbrushing. The Perio Rinse will release oxygen under the gum, killing the plaque bacteria. I HIGHLY recommend the Oral Rinse from TheraBreath. The BEST way to deal with gum disease is by using the Cybersonic 3 toothbrush with the Perio Therapy Kit! With some time and patience, you will be able to get your gum problems under control.